the house. ARLENE MCKINNEY: Well, he sleeps like the dead. EUGENE SIMONET: I don't want to make it any harder for you. You're supposed to wait a year. Isn't that what Bonnie said? ARLENE MCKINNEY: Okay. EUGENE SIMONET: I can't. ARLENE MCKINNEY: Oh... I'm sorry. EUGENE SIMONET: No. I don't mean I can't. It's just... ARLENE MCKINNEY: What? 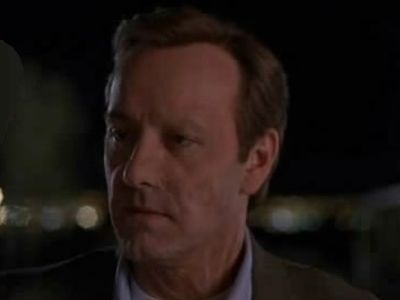 Kevin Spacey as Eugene Simonet: This is complicated. Helen Hunt as Arlene McKinney: I get it. It's okay to say you don't like me that way. EUGENE SIMONET: Is that what you think it is? ARLENE MCKINNEY: It's okay. EUGENE SIMONET: How could you ever think that? EUGENE SIMONET: I don't want to be one of those people he's talking about. And I've become one. I don't want to spend another second of wasted air.